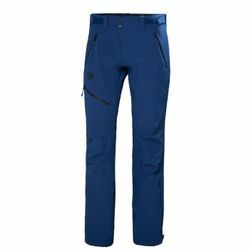 Helly Hansen Odin Huginn Pant. A flexible, water-repellant, softshell men's outdoor pant in durable, stretch fabric. In Norse mythology, Huginn is one of the pair of ravens that fly all over the 9 worlds, bringing information to the god Odin. A softshell pant that can stand up to this kind of challenge is hard to find as well. To complete the ODIN offering, this Huginn all purpose and all season pant was created.